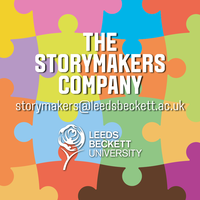 Last month I was delighted to join up with the Story Makers Company at Leeds Beckett University - a collective of creative practitioners who work with schools across Leeds and beyond to promote storytelling and encourage young authors to find their voices. SMC held a creative event on 27th June where members showcased their excellent work to teachers. The event was a huge success - well done to all who were involved. To celebrate the event, the SMC published the first edition of Story Maker Dialogues: an interactive journal collecting ideas and 'think pieces' to promote discussion about creative practices in school. My article about developing creative writing in primary schools was included too. Click on the picture below to access the full journal. To find out more about the Story Maker Company, visit their website! Jambo from Kenya! I’m here for a visit to Nairobi. 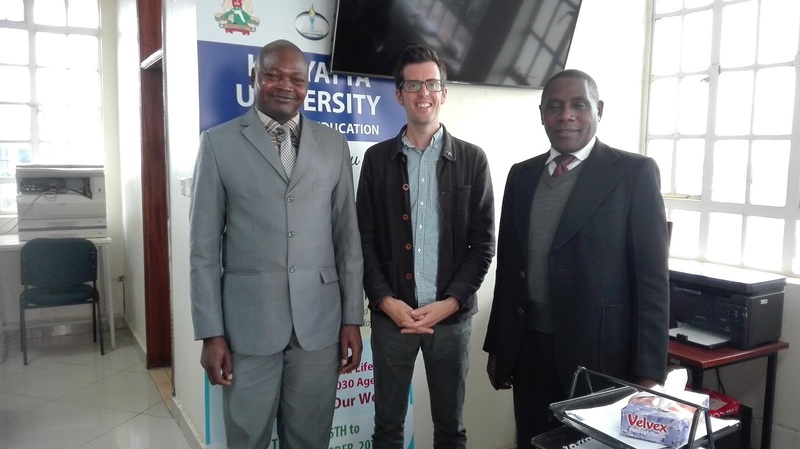 When I have not been striding across the Maasai Mara, feeding baby giraffe to the Out of Africa soundtrack, I have been visiting the School of Education at Kenyatta University. Thank you for the welcome – asante sana! But don’t be jealous UK teachers – it’s colder here in Kenya than it is in Leeds! Book literacy CPD for your school’s September INSET! Whether your school’s literacy teaching needs a bit of a shake up or a new sparkle, an ARTiculate CPD workshop is the ideal for your school’s INSET day in September. If your school is getting back to basics, I have workshops designed to help teachers choose and use quality texts, develop independent writers, engage reluctant writers and use more effective editing or redrafting techniques. For schools looking to develop and enhance their literacy teaching, I can guide your staff in using film to teach literacy, teaching whole school Shakespeare, using art to inspire writing or something else entirely. To find out more, click here or visit www.articulateeducation.co.uk. Half/full day workshops are priced between £450 and £600 and can be combined with 1-2-1 coaching sessions for teachers, planning surgeries or co-teaching. Drop me an email to articulateeducation@gmail.com and we can take it from there. Mamo and Dani live opposite lives. For Mamo, home is a ramshackle hut in the slums of Ethiopia’s capital Addis Ababa with his older sister and troubled mother. On the other side of the city, Dani lives a life of privilege with his parents. But when their lives are both turned upside down, they find themselves alone on the city streets with the beggars, orphans and gangs. A challenging but fascinating read for upper Key Stage 2. This resource can be purchased from my e-shop on TES online (click here to access). You can get it for free by joining my mailing list. Email articulateeducation@gmail.com with the word 'subscribe' as the email subject. Ideas for other books and films ideal for creative literacy can be found in my e-shop, click here to visit my website. Have a relaxing summer holiday. Until September! Our second week on our Kenya trip and an opportunity to visit the Karen campus of the Brookhouse School, Nairobi. And quite an experience it was too! A private school, Brookhouse is regarded as one of the most prestigious schools in the country and it is hard to deny that the campus is stunning: a small farm with ostriches, secretary birds and guinea fowl, life size sculptures of safari animals in the playground, the library with the 'learning tree' that is also a staircase (and also the pride and joy of Jonathan, the school's librarian) and a computer lab that is decked out like a space station. These are facilities that most schools in Kenya - and, for that matter, the UK - can only dream of. While this material investment may be out of reach for many schools, the schools commitment to creative learning is not. Meeting the deputy headteacher and curriculum leader Andrew Kimwele and teacher Susan Bantu, it was interesting to hear the school's approach to creative, cross-curricular learning. In language learning, the school prioritises independence, creativity, collaboration and application of language skills in the primary phase. This, the school claims, has a significant impact on the later stages of children's education. Some standout ideas include holding writing and art competitions where children collaborate to create a unique artwork and creative writing pieces, publishing children's work in printed books, encouraging children to write for pleasure and using drama as a key feature of their literacy work. But, OK, I will hold my hands up - the resources and materials available to this prestigious school is not an appropriate source of comparrison for UK education. Developing these approaches does require significant investments of money and time. But it is hard to deny that these practices are the key to developing confident, creative and flexible learners. As Brookhouse School reaps the benefits in Kenya, it is hard not to think that a focus on authentic writing experiences could have a significant impact on schools in the UK too. Perhaps the key difference is not simply the resources available, but the freedom the teachers are given to experiment in an environment free from government inspectors, league tables and a hostile environment of surveillance, performance management and teaching to the test. The Doctor (that's my wife: no regeneration powers or Tardis but two hearts) and I both love to travel and this year has been a lucky one: a trip to Kenya in June to follow our visit to South Africa earlier in the year. Whenever we are away for 'workation', we always like to meet up with colleagues who work in education. It is a great opportunity to get insights into the perspectives, practices and challenges of educational practitioners around the world. In Nairobi, I met with two leading staff from Kenyatta University: Professor Kisulu Kombo (Dean of the School of Education) and Dr Peter Mugo Gathara (Head of Department of Educational Foundations). It was a warm welcome and involved many cups of Kenyan tea, a visit to Dr Peter's house and sampling milk from Dr Peter's cows while we were there. Asante sana! During our meeting, we discussed teacher training in Kenya as well as educational reform. Following the global trend for intensive educational reform, Kenya is currently in the process of overhauling their National Curriculum. Read more about it here. The key change affecting early education sees the existing 8 year primary stage split into a two years pre-primary and six year primary education. The reforms also state a new focus on pedagogy, personalised learning and inclusion with teachers expected to deliver a higher quality of education. But this drastic reform programme clearly faces challenges. Resources in Kenyan state education are limited and a huge discrepancy remains between the quality of state education in different areas of the country. What might be practical in urban Nairobi may be harder to implement in isolated, rural regions. Crucially, there is also a sense that primary education lacks status in the Kenyan system and, by consequence, so do its teachers. With the new reforms demanding professional excellence from educators, it is hard to see how this can be fulfilled when class sizes are large, professional training is limited and an unhealthy attachment to standardised assessment remains. It will be interesting to see whether this ambitious programme can fulfil its ambitions. Happy half term to you all. You’re nearly over the line! As you roll into that post-SATs-practising-sports-day-empty-out-your-trays time of year, there is no better time to experiment. With that in mind, take your class for a magical browse in Ross MacKenzie’s brilliant The Nowhere Emporium, a place of secrets and wonders. Ideal for free-flowing creative writing for all of Key Stage 2 and the perfect starting point for some exciting art and drama. Scroll down for details on how to use The Nowhere Emporium with your class. Last month, as part of a CPD course for primary leaders, I lead a workshop on creative writing that explored Chris Van Allsburg’s intriguing picture book, The Mysteries of Harris Burdick. After discovering a mysterious letter by Chris Van Allsburg, teachers were asked to write part of a story linked to the Harris Burdick illustrations. Their writing has been passed onto the relevant authorities and has been added to the case file of the disappearance of Harris Burdick which can be viewed below. Where is Harris Burdick? Who has the illustrations now? What really did happen in Prague? And who is the man with the dachshund? Can you follow the paper-trail and uncover the real mystery of Harris Burdick? When Daniel Holmes hides from the local bully in the doorway of a newly appeared shop, he has no idea that he has stepped over a magical threshold. The Nowhere Emporium is the invention of magician Lucien Silver: part shop, part theme park, a place where wonders - amazing sights and experiences - appear at the stroke of a magician’s pen. Fascinated by the wonders of the Emporium, Daniel begins to discover his own magical potential and the places his imagination can take him to. But as Daniel quickly discovers, the world of magic can be a dangerous place. How can I get Stefan to work with my school? When schools approach me, these are usually the things they need to know. Click on what your school needs to visit my website and find out more. #1 We need someone to show us how to inspire a class or year group about literacy and writing. #2 We want a creative challenge for a high-flying group of children. #3 We need a boost for a group of children who struggle with writing. #4 We'd love someone to offer regular creative classes at our school. #5 Our staff want training on how to plan better literacy topics. Why not drop me an email at articulateeducation@gmail.com. I’d love to hear from you! Enjoy the last half term! With the number of ‘awareness’ days slightly overwhelming the calendar, it is most certainly forgivable if you’ve blanked them all out. May is full of them, by the way. While National Handwashing Day and International Dawn Chorus Day (5th and 7th of May respectively, if you have your diary to hand) might not get your pulse racing, one awareness worth being aware of is National Share a Story Month which runs throughout May. So, if you are looking for a perfect sharing-book to celebrate, look no further than The Willow Pattern Story by Allan Drummond, a beautiful take on the story of the famous Chinese pottery design. It is ideal for reading together, alone or using it for your literacy lessons. 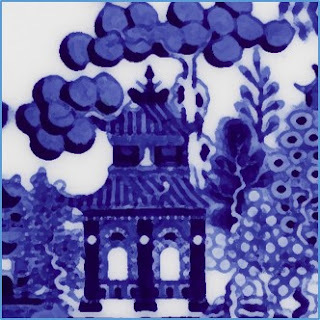 Scroll down for details on how to use The Willow Pattern Story to set your literacy lessons aflutter. Greater Depth in writing CPD – Pudsey schools away day – April 2018I was delighted to be invited to present at the Pudsey Family of Schools away day last week. It was an opportunity to discuss achieving greater depth in primary writing. It was great to meet the teachers of Pudsey and they had some wonderful ideas as we followed hot on the trail of the mysteriously disappeared writer and illustrator, Harris Burdick. For me, developing independent, creative and high-achieving writers is linked to shifting our view of children as writers and the importance of moving children towards the idea that they are authors with a unique voice rather than simply pupils in a literacy lesson. Achieving this requires a whole-school focus on creativity, publishing children’s work, feedback and collaboration rather than surges on grammar, spelling and handwriting. Feedback from the teachers was excellent with one teacher commenting: “Was a great session! Made me think of myself as a writer as well as a teacher.” Thanks again! If you would like to book this, or similar, CPD for your school, please contact me at articulateeducation@gmail.com. Info on training courses I offer can be found at www.articulateeducation.co.uk/p/teacher-training-packages. This beautifully illustrated book tells the classic story of Chinese lovers Koong-Shee and Chang that is immortalised in the familiar blue and white pottery pattern that we know, love and take to charity shops. Actually, the story and has no basis in China whatsoever and was invented in England after the pottery design was already popular in the 1800s. But the story draws on stylistic elements of Chinese culture and is brilliantly retold and reimagined by Allan Drummond. The book is perfect for encouraging storytelling in Key Stage 1. PS – after an enquiry about the research project in Cape Town featured in last month’s bulletin, I’d like to clarify that the film made in a primary school was independent of the research project. The film was made for the school and the children who participated – it was not for profit and is not publicly available.